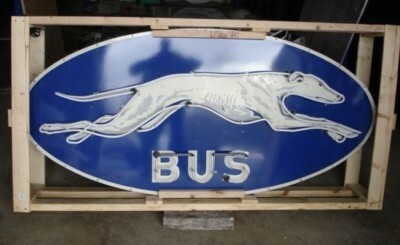 The Greyhound Oval Bus Neon sign is 36″ by 72″. The sign is navy blue with white illustrations. The neons outline the shape of the dog. The only text on the sign is the word “Bus.” This sign has a high gloss look and shows well in the daylight and at night.